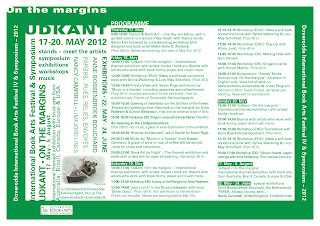 Doverodde Book Arts Festival IV & Symposium – 2012 took place May 18-20th, 2012 and like the previous years it was host to many different events: the international themed book arts exhibition 'Udkant/On the margins', workshops, music and one collected stand area where the artists could show, sell and discuss their work with visitors. 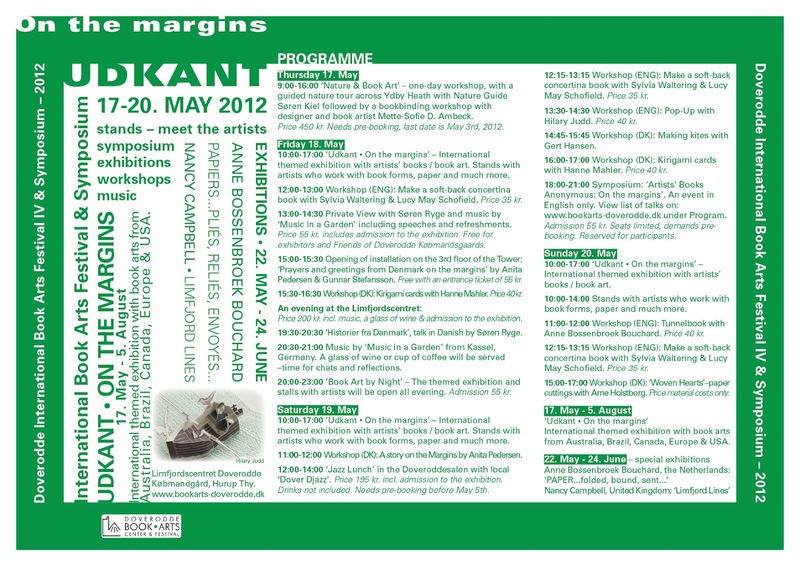 Three days with a full programme. 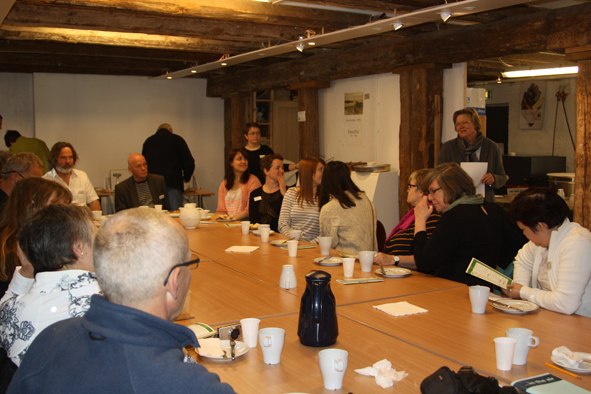 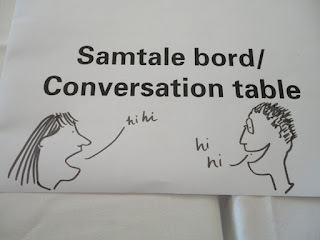 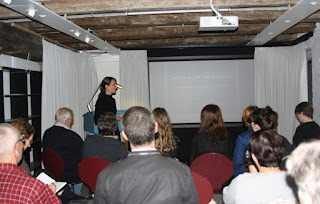 One of several new initiatives this years was the Symposium held on Saturday evening May 19th. 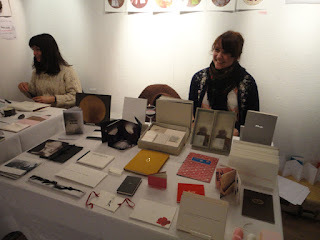 This new addition to the Festival had attracted participants from as far away as Singapore, New York and Canada. 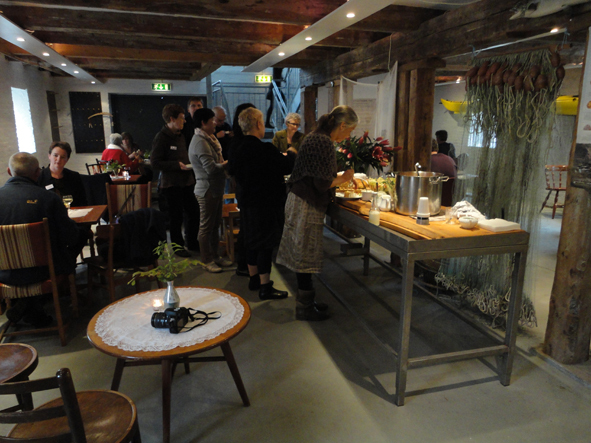 The Symposium evening meant that all participants had a chance to come to all the talks and have an enjoyable evening together while sharing knowledge and experiences. It has become a tradition that the Festivals begin with breakfast for all participants. 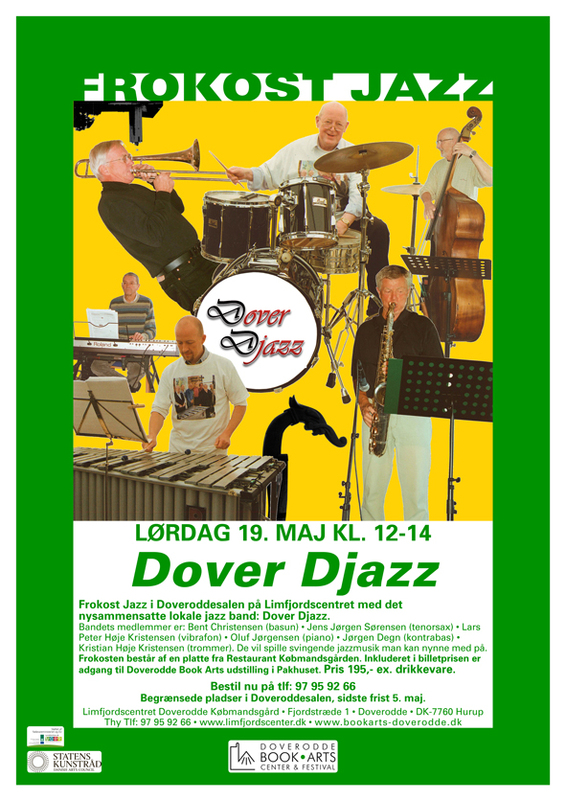 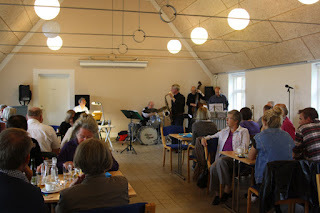 The official opening took place in Doveroddesalen as in previous years and the turn out was good. 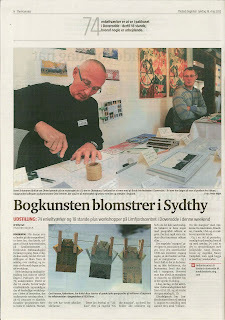 Thylands Avis page 29, May 23, 2012. 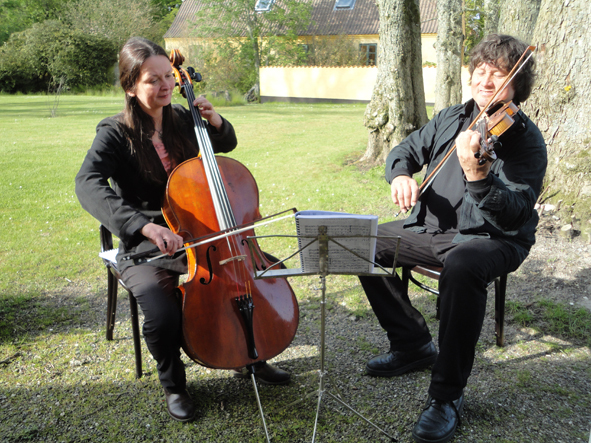 The event was introduced by short speeches by the Director of the Limfjordscentret Karin Nikolaus, the head of the board Niels Peter Riis all mixed with classical music by the German trio from Kassel: Music in a Garden. The guest of honour to deliver the main opening speech this year was the Danish TV presenter Søren Ryge who was chosen for his interest in telling stories about ordinary people living in remote places. 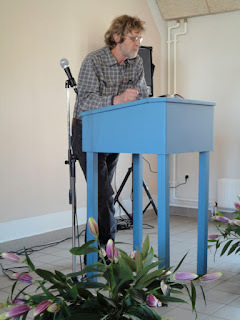 At the event he introduced his new book about the daily life of three siblings. 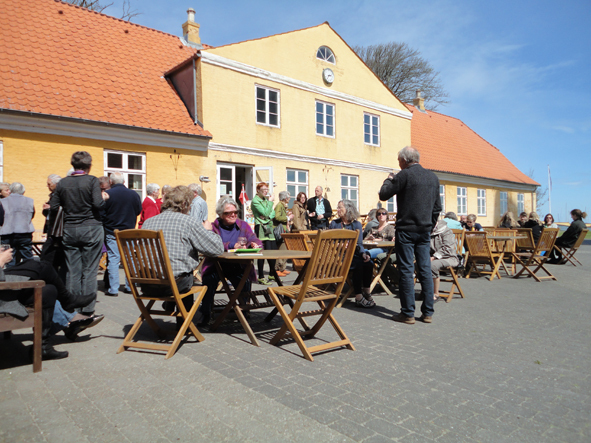 After the opening refreshments were enjoyed in the spring sun. 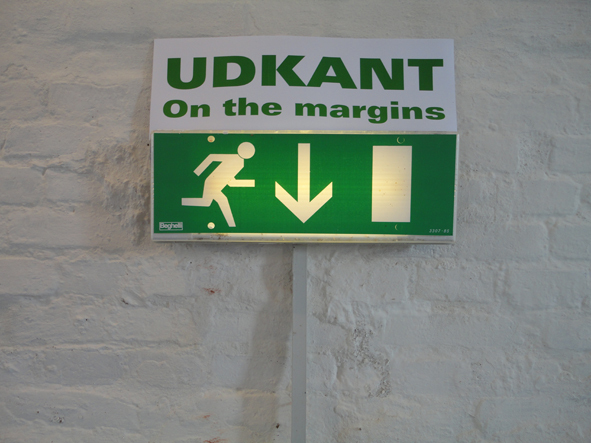 Afterwards people could enjoy the themed exhibition: 'Udkant' / 'On the margins'. This year the exhibition contained 73 international works sent by individual artists and artist groups. 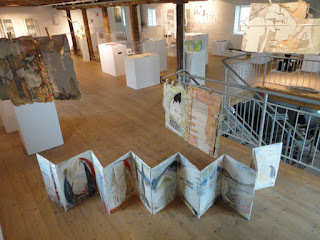 All together 91 artists were involved from Denmark, Norway, Sweden, Germany, France, The Netherlands, United Kingdom, Slovakia, Australia, USA, Canada, Brazil and Singapore. 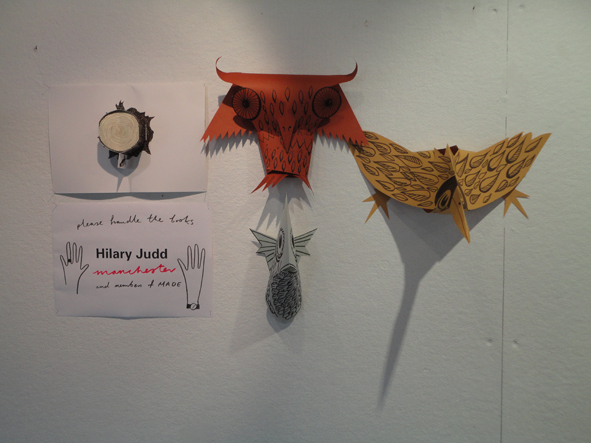 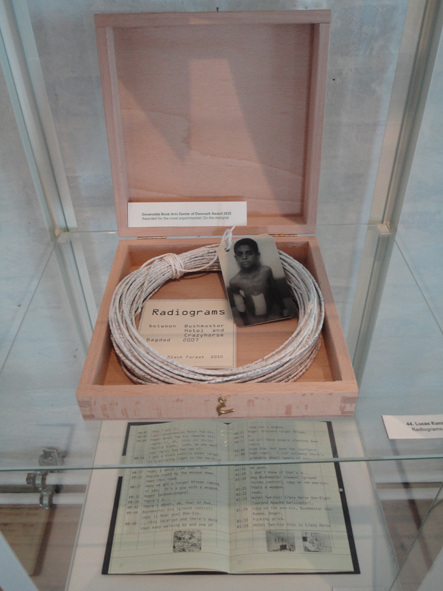 Images of all the work in the exhibition can be seen here. 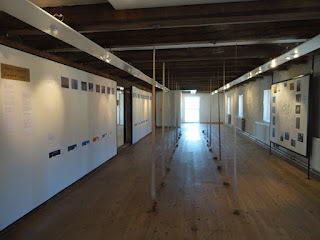 The exhibition was open from May 17th to August 5th. In the afternoon a small opening was held for the installation placed on the 3rd floor in the Tower. 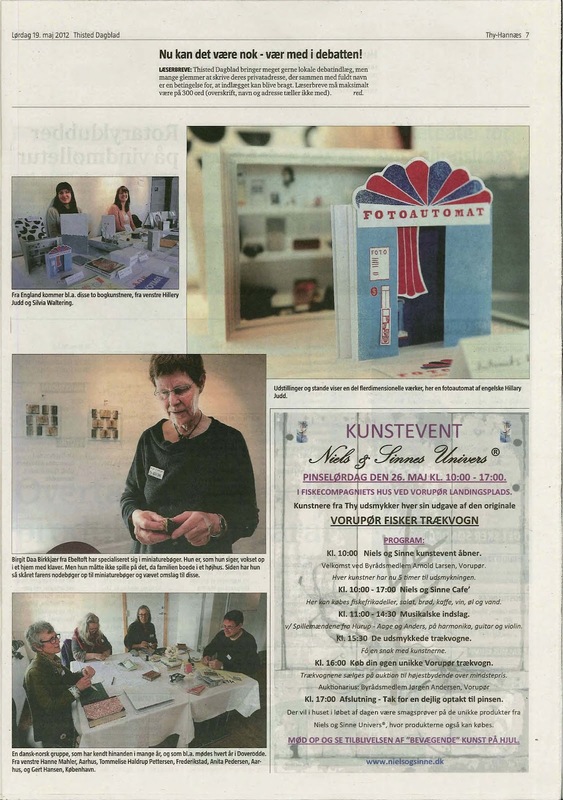 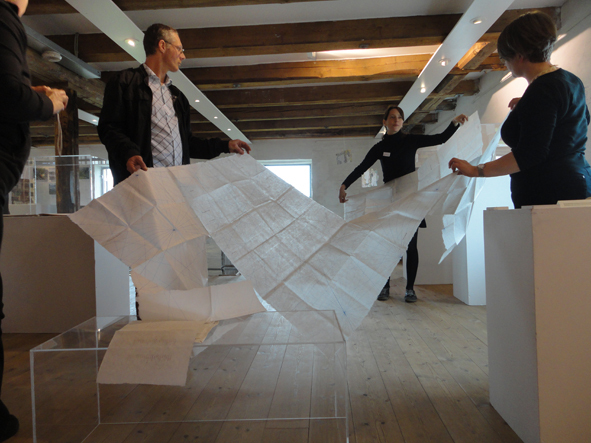 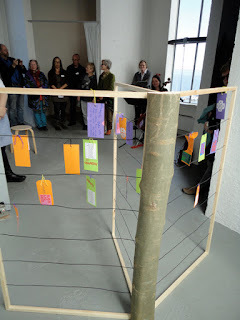 This year we had invited artist to submit a proposal with an idea of an installation and Danish artists Anita Pedersen and Gunnar Stefansson were selected. 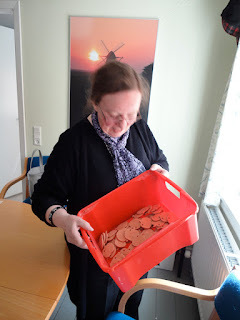 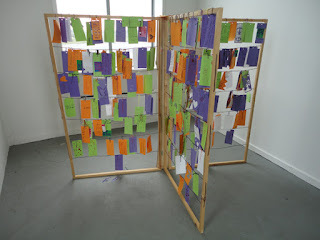 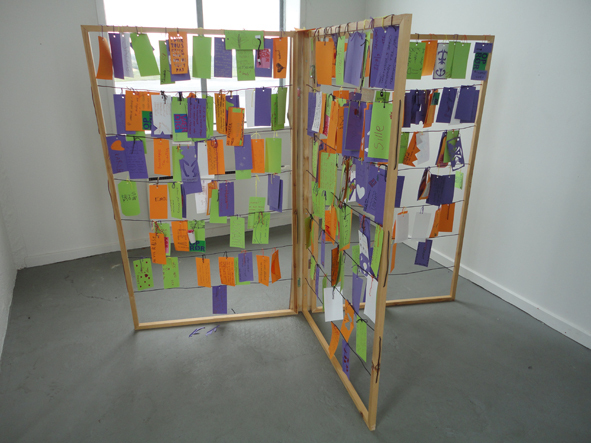 An interactive piece to develop over the summer called: 'Prayers and greetings from Denmark on the margins'. It was opened with music by Regine Brunke on Violoncello. 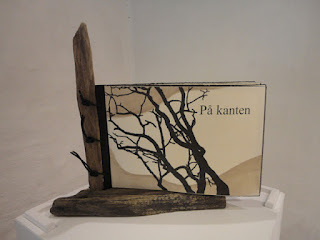 Early Friday evening the Doverodde Book Arts Center of Denmark Award was revealed during the evening buffet. 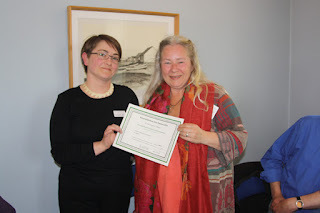 The award was introduced in 2011 and is our way of acknowledging the excellent work which each year have been submitted to our themed exhibitions. 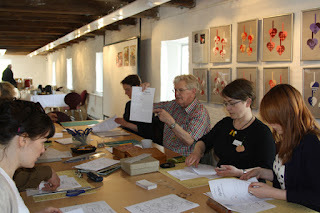 The Jury this year was art historian and researcher Nina Hobolth and artist Hanne Matthiesen both from Denmark and British writer and printmaker Nancy Campbell. 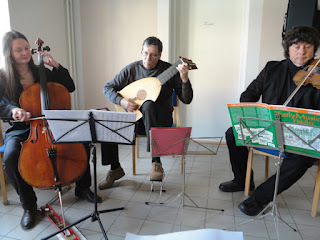 They selected three works for the award. Each artist were awarded with a modest money prize. 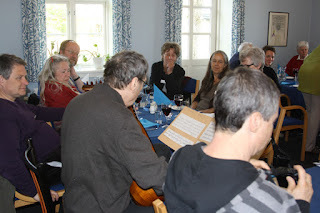 The only artist present at the buffet dinner was Tommelise Haldrup Pettersen who was also awarded the prize in 2011 and who had suggested the theme of 2012. The dinner was accompanied by music. 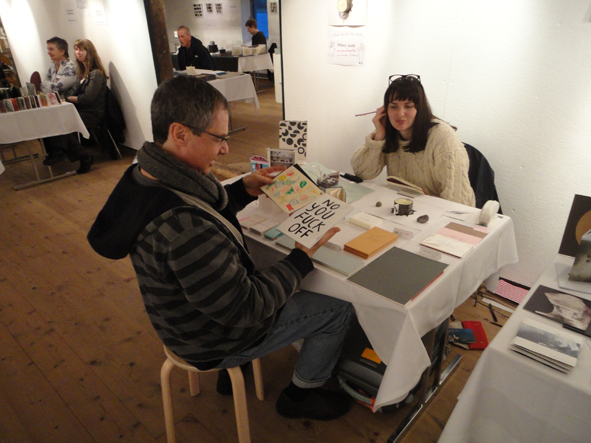 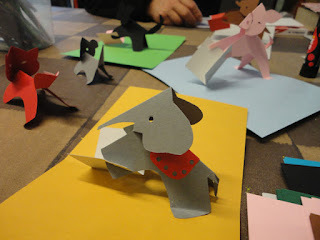 Another new initiative for 2012 was Book Arts by Night where the exhibition and all the stands were kept open till 11pm. 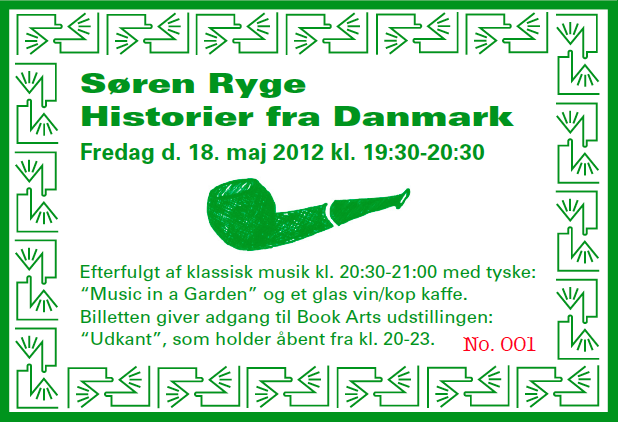 The evening begun with a talk in Danish for the public with the guest of honour: Søren Ryge titled 'Stories from Denmark'. 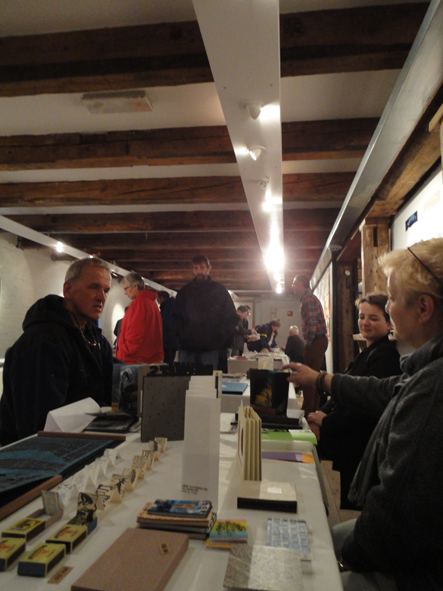 While the talk took place the stand area was active with artists at their stands and visitors dropping in. 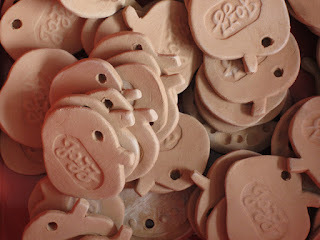 – and so were the handcrafted clay tickets, made by local ceramicist Jane Højer-Kristensen. During the weekend the local press came and visited the stand area, which was busy with some artists producing work at their stands. Thisted Dagblad page 6, May 19th, 2012. 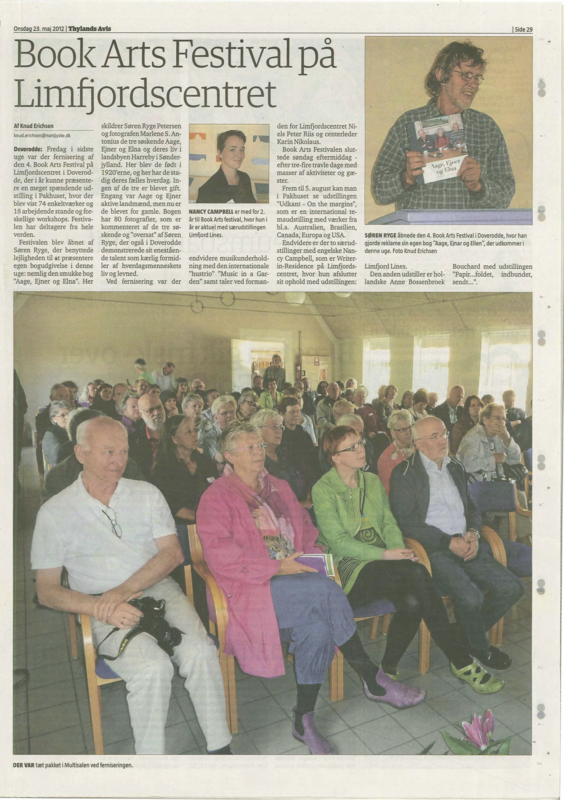 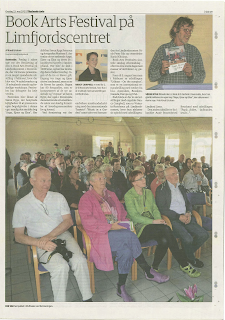 Thisted Dagblad page 7, May 19th, 2012. At the end of the day everyone enjoyed dinner together in the Book Café made for the Festival. 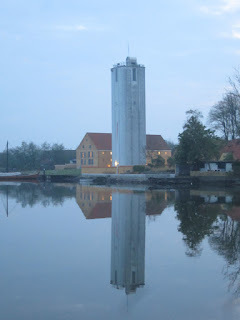 Usually done by Lena Hansen, but due to a sudden bereavement it was done by Liz Hempel-Jørgensen and Anne Mette. After dinner the Symposium would take place in the adjacent room. 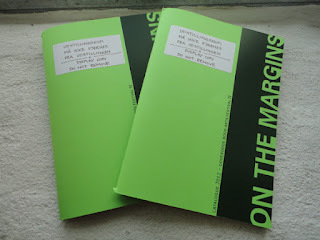 Artists' Books Anonymous: On the margins was the title of the Symposium. 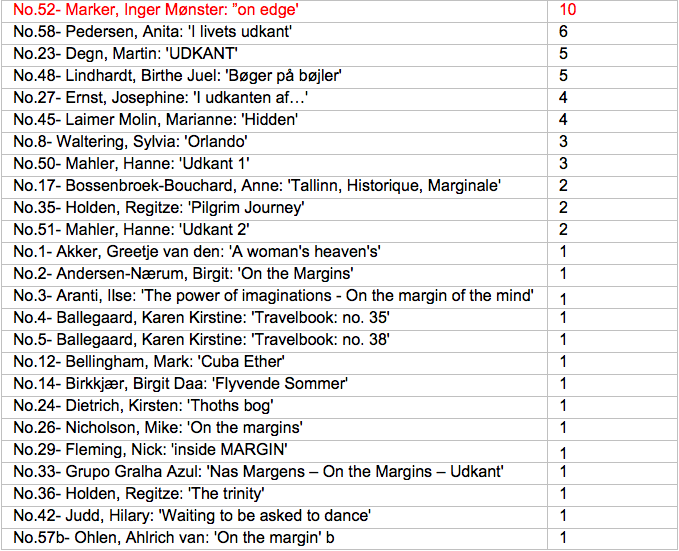 Below is the appendix with each of the speakers papers. 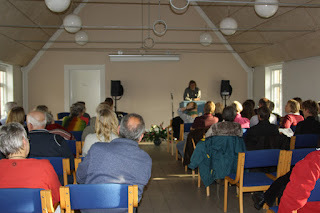 We were very fortunate to get speakers from all parts of the world. 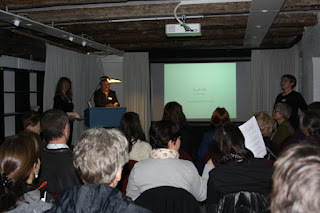 Our Keynote speakers were Maureen Piggins & Ewa Zebrowski both from Canada. 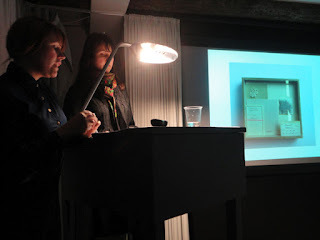 They were followed by the next double act: Sylvia Waltering & Lucy May Schofield both from Manchester Metropolitan University, UK speaking about 'Surplus to Requirements' a collaborative publication made by two collective groups and their respond to the Herbarium at Manchester Museum. 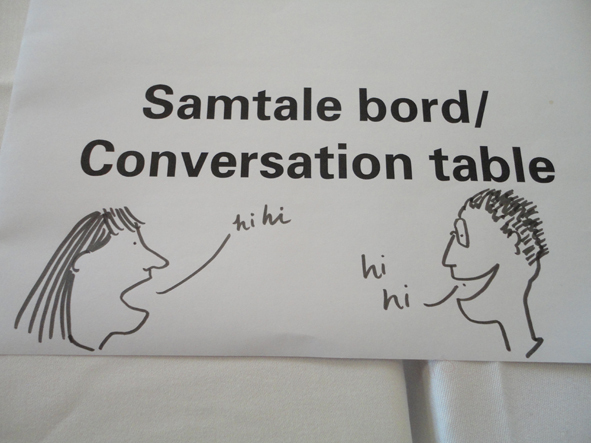 Speaker no. 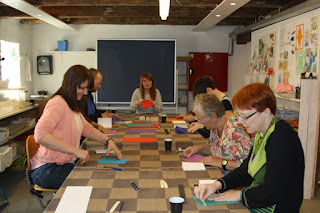 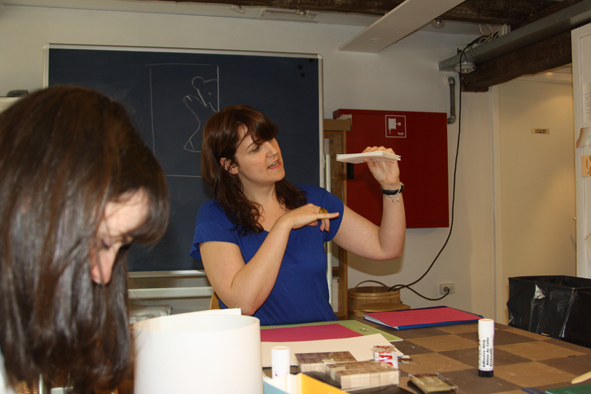 2 was Tatiana Ginsberg from Massachusetts, USA talking about the magic of paper making. 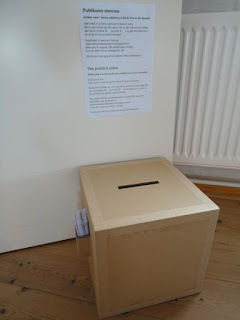 Speaker no. 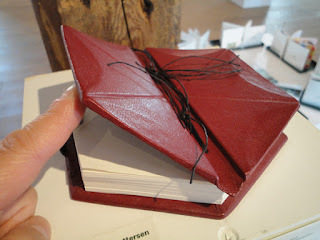 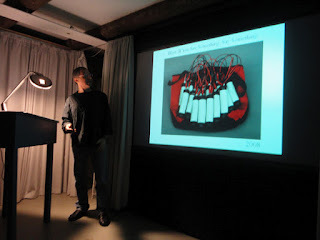 3 was Doug Beube, New York introducing us to his sculptural book works. 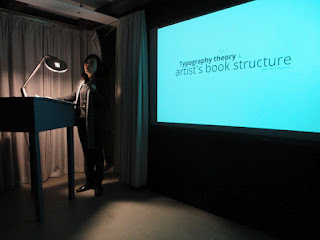 Our final speaker was Jesvin Yeo from Singapore who took us though her work with typography theory and how this can be combined with artists' book structures. By the end of the evening we were all enlightened by new knowledge gained. 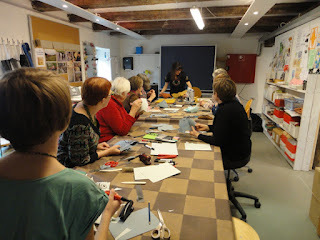 Over the three days lots of workshops took place in the creative workshop area. 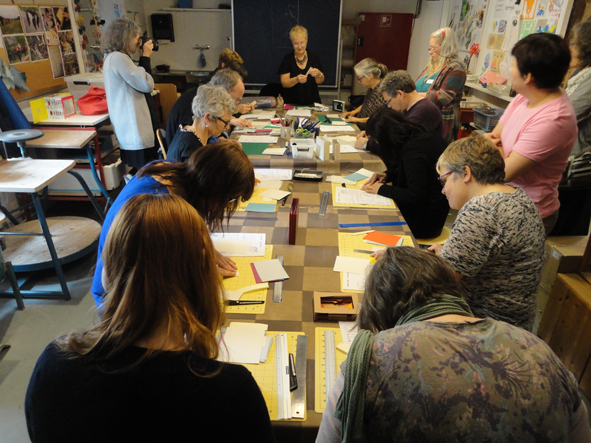 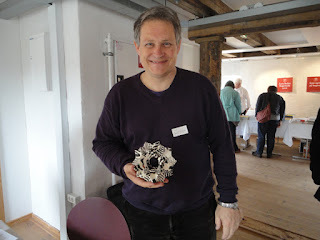 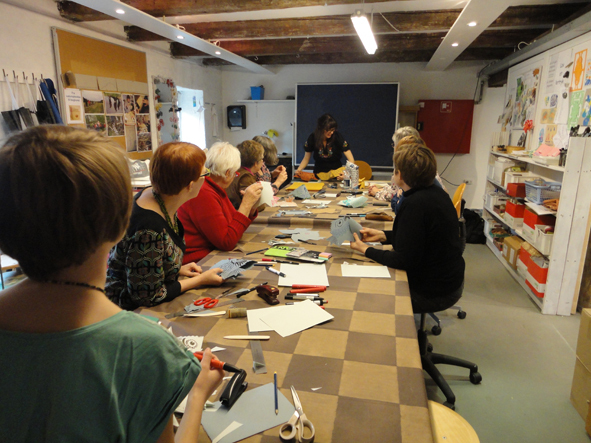 On Sunday afternoon after the stand area had closed Danish Woven-hearts specialist Arne Holstborg held a workshop showing us new designs and tricks to this old traditional Danish craft of paper cutting and paper weaving. 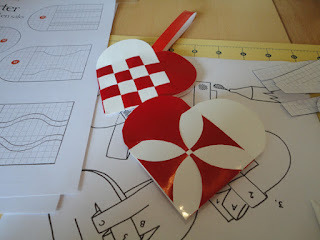 During the Festival and until June 24th his hearts could be seen on the walls of the upper gallery. 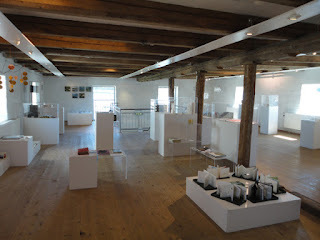 After the end of the Festival two special exhibition were put in place until June 24th, 2012. 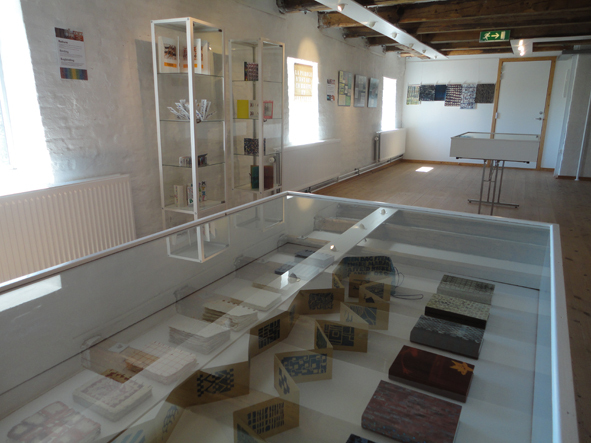 A selection of her book, paper, rubber stamp and mail art work including new work for this exhibition. More images here. An exhibition of some of the writing done during her month residency at the Limfjordscentret. Read more on Nancy's stay here. As in 2011, Mette-Sofie D. Ambeck was in charge of the complete design of the catalogue for the Festival. 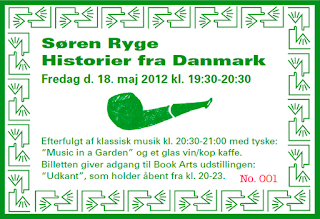 We were thankful to get support from the Danish Arts Council for the printing of this. 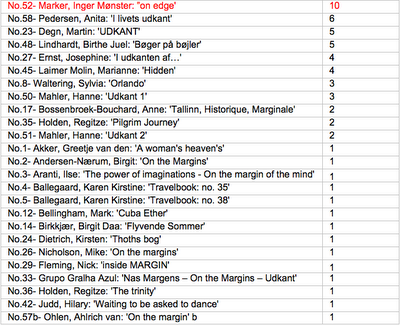 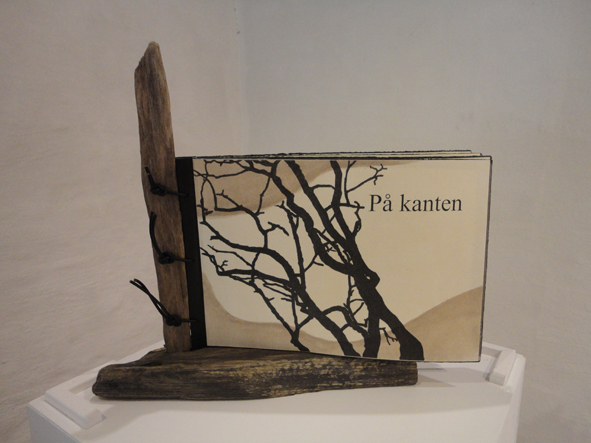 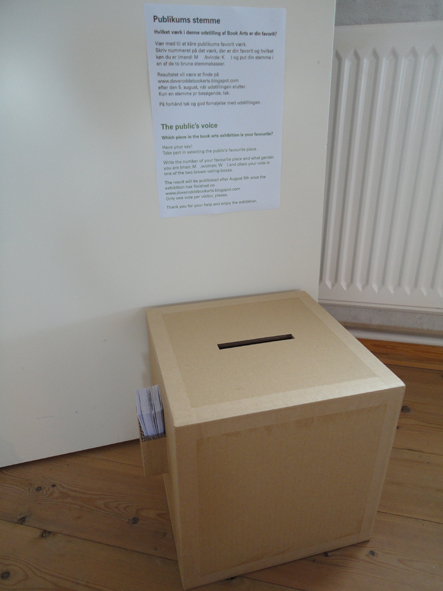 Once the exhibition finished on August 5th the votes from the public was counted and the winner was: 'På Kanten' / 'On edge' by Inger Mønster Marker (DK). 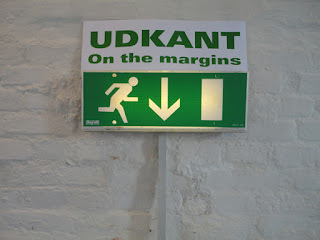 Many more images available on our Flickr account.